We are quite flexible on working location for this job, so for the right candidate working remotely is definitely a possibility. And of course if you are interested in joining us at one of our offices that is an option too, for instance we have existing team members working out of our Boston (USA), Brno(Czech Republic), Brisbane (Australia) and Munich (Germany) offices. GPU Compute is rapidly growing in importance and use so this is your chance to be in the middle of it and work for what I personally think is one of the best companies in the world to work for. So be sure to submit an application though the Red Hat hiring portal. Warning! This is not a directly Linux/Tech related blog post (it is not the only thing I care about in this world :). comes at the expense of level of accuracy and making news very scandal driven. both in terms of mainstream media, but also in terms of topical media like tech media. of the best sources of quality news in my opinion and on the tech side I am a paying subscriber to Phoronix (I am also a paying subscriber to LWN through work). Anyway, I feel strongly enough about this to write this blog and hope that other people reading it agree with my thinking here and start paying for the content you enjoy, be that through subscriptions or patreons or similar. And maybe we can be part of a process to change the expectation and understanding of the value of well funded independent media. Lets help make news something that is made to help inform us as readers and not something that is made to help someone sell something to us. I am personally happy to see this convergence of efforts happening because I have for a long time felt that the general level of investment in the Linux desktop has not been great enough to justify the plethora of Linux desktops out there, so by now having reached a position where Canonical, Endless, Red Hat and Suse again share one desktop technology stack and along with consulting companies like Centricular, CodeThink, Collabora and Igalia helping push parts of the stack forward we are at least all pulling in the same direction. This change should also make life easier for ISV who now have a more clear target if they want to try to integrate their UI with the Linux desktop as ‘the linux desktop’ becomes a more meaningful term with this change. And to state the obvious, we will continue our effort around Fedora Workstation to continue to lead on innovation and engineering and setting the direction for where Desktop Linux goes in the future. So there is a thread on Hacker News based on a question from a Canonical employee asking for feedback on what people want from the next version of Ubuntu. I always try to read such threads even when they are not about Fedora or Red Hat. I fact I often read such articles and threads about non-Linux systems too to help understand what people are looking for and thus enable us to prioritize what we do with Fedora Workstation even better. Over the last few years I do feel we managed to nail down what the major pain points are and crossed them out one by one or gotten people assigned to work on them. So a lot of the items people asked for in that thread we already have in Fedora Workstation or have already in our roadmap. So I thought it would be nice to write them up and maybe encourage people to take a look at Fedora Workstation if you haven’t done so already. The list below is my trying to go through the long thread and pick up important and recurring topics, so I hope I got most of them, but if I missed something feel free to add a comment and I will try to answer. This has been something we been working on for quite a while. I think we where the first distribution to implemented general HiDPi and put a lot of engineering time into updating Wayland and GNOME to make it happen. That said things are not perfect yet. But we are working on resolving those. Jonas Ådahl and Rui Matos are currently trying to resolve the two main issues we still see. The first item is non-integer UI scaling. Currently we only offer integer scaling meaning that we only offer 2x scaling. This is to much however so we are working on a solution to offer fractional scaling like 1.5 for instance. We are certain to have that ready for Fedora Workstation 27, but there is a small hope we can finalize it already for Fedora Workstation 26. The other item is dealing with applications relying on XWayland because they do not support DPI scaling across two or more monitors, unlike native Wayland applications. We are dealing with that in two ways, one being working with upstreams to get their applications Wayland native like the work we been doing with LibreOffice and Firefox. We are also trying to come up with a scaling solution for XWayland using applications, but we haven’t been able to come up with a solution there yet. 2. 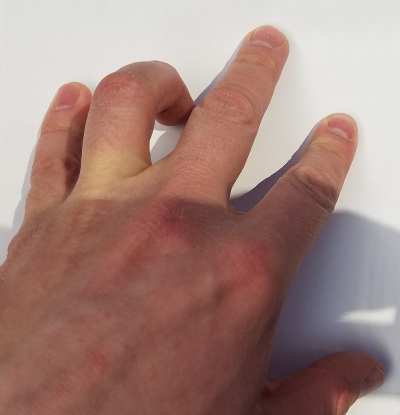 Multitouch gestures like 3-finger swipe to change workspace. This is another item we have put significant effort into. Over the last few years we made sure that we went from almost no touch support in the desktop to now supporting touch throughout the stack. The one big remaining item that was holding items like proper gestures back is that until kernel 4.12 is out the Synaptics touchpads are using PS/2. This causes only 2 touches to be reported, which is not great when you want 3 fingers gestures. With the new kernel, we will be using a different bus for those Synaptics touchpads, and we will have proper 5 fingers support. Benjamin Tissoires on our team has spent 4 years to get this code upstream but it’s finally here. We plan on backport this code to Fedora Workstation 26. Of course application developers will need to make use of the infrastructure in their applications for this feature to be fully realized everywhere. This is something we realize is a major issue and it has been on our agenda for a long time. It is a really hard issue to resolve because it is tied into a lot of things outside of control, like hardware used and in some cases third party drivers. That said, as many of you might know we recently set up a Laptop team here inside the bigger Red Hat desktop team and battery life is one of their top priorities. Christian Kellner is our point man on battery life and he has taken over the GNOME Battery bench tool that was originally created by Owen Taylor when we starting looking at battery life. 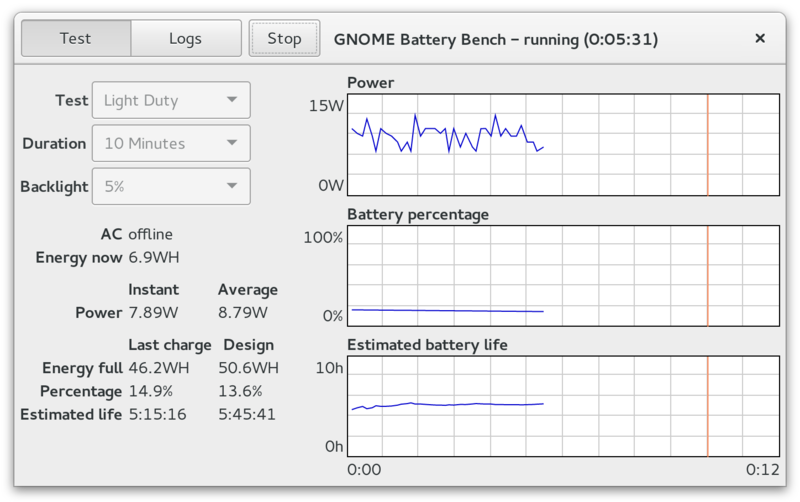 He is currently working on improving GNOME battery bench and talking to hardware vendors to figure out what we can do. We are also actively speaking with NVidia to ensure that we can provide good battery life for hybrid graphics users when the binary NVidia driver is installed. We hope to agree with them on interfaces that should allow us to provide top notch battery life for such systems, but we are beholden to changes in the binary drivers to make that happen so it is also an example of the limits of what we can do on our own here. There where people on the Hacker News thread talking about issues with UEFI. Once again this is an area where we have a dedicated engineer assigned to UEFI and making sure it works great. In fact Peter Jones who is our UEFI point man is on the UEFI standards commitee doing ongoing work to ensure the standard is open source friendly and well supported by Linux. It is also worth mentioning that we created the Linux Vendor Firmware Service to make updating UEFI firmware and easy process. So if you see firmware updates offered in GNOME Software for your laptop or other devices that is because of the work we put into this service. We expect to have most of the major vendors signed up by the end of the year, so if your system is currently not supported that is hopefully a temporary thing. So this is both something that works well under Fedora and RHEL due to having someone dedicated to the effort and it is another example us doing the heavy lifting to make things actually happen. 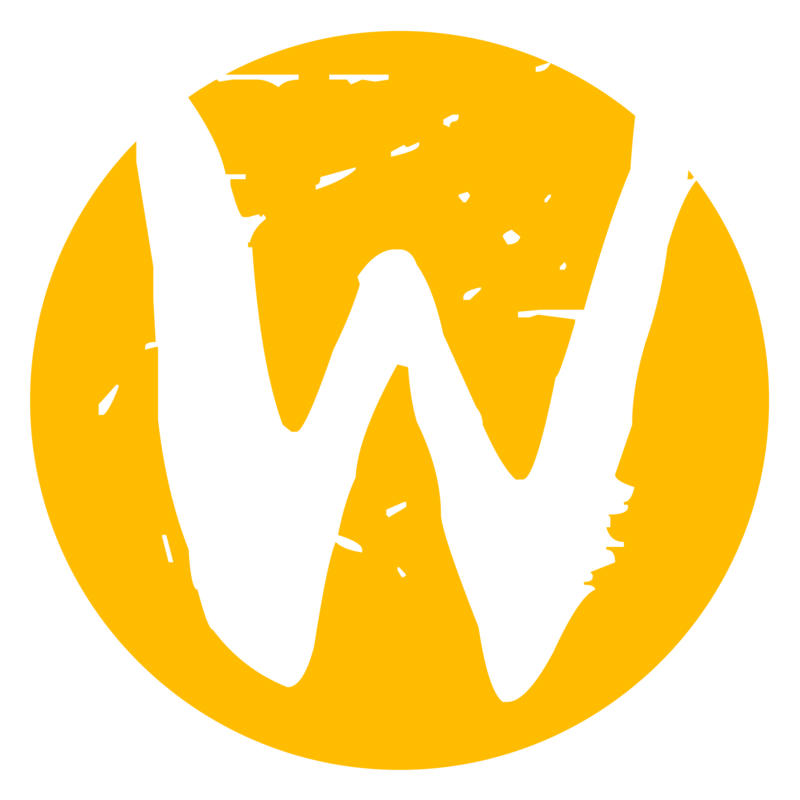 A lot of people in the thread asked about Wayland support and well, we got Wayland! And this is another area where we dedicated serious engineering resources to it and are continuing to do so. For instance in addition to the above mentioned multi-DPI system work we are working on items such as HDR (High dynamic range) and next generation hybrid graphics support in Wayland. We are also working with NVidia to ensure their binary driver works well with Wayland. Some time ago we picked up on the growing popularity of tools such as Redshift and f.lux and this was another often repeated request in that Hacker News thread. 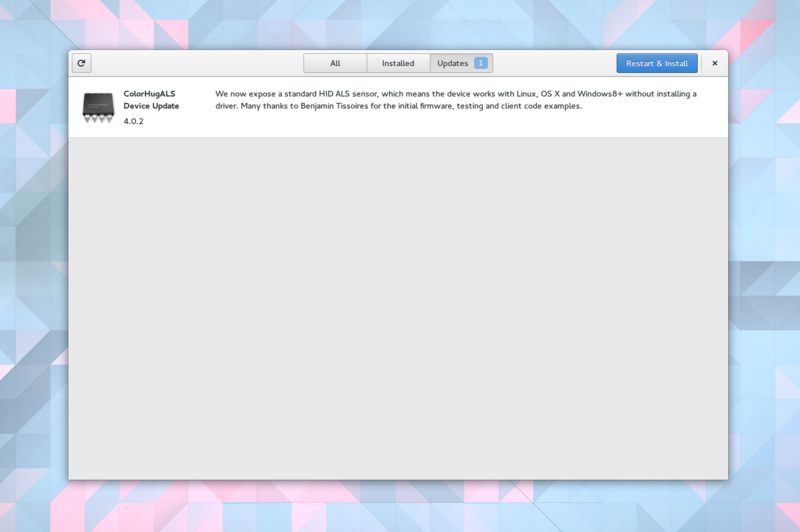 Well we once again invested our resources into this and thus in the newly released GNOME 3.24 there is built in support for this feature, called Night Light. 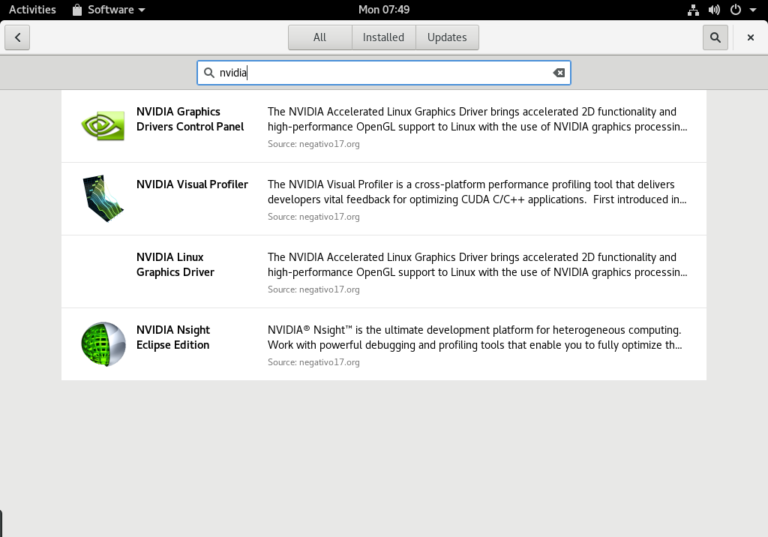 We drove this feature work and it will of course be available alongside GNOME 3.24 in Fedora Workstation 26. This is another item we be spending significant time and resources on. We have a team dedicated to work on the linux graphics stack, which includes people like the graphics subsystem kernel maintainer and RADV creator Dave Airlie, Nouveau maintainer Ben Skeggs, core X, Mesa and Wayland dev Adam Jackson, Freedreeno creator and maintainer Rob Clark and more. This team is pushing the linux graphics stack forward alongside their colleagues at Intel, AMD and NVidia. The one thing we recently been working on for instance is dealing with the NVidia binary driver which has been a pain for a long time due to the file level conflict with Mesa. We didn’t want to do a workaround or hack, so what we did was work with NVidia on their glvnd proposal to make that a reality. This included supporting glvnd in Mesa in addition to the NVidia driver, but also working with the OS level tools to ensure fallbacks and autodetection worked fine. We got the basics of glvnd support already in Fedora and are polishing it up. Hans de Goede who took over that work from Adam Jackson has recently be working with the fine folks at rpmfusion and negativo17 to make sure we have some good packages available taking full advantage of his work, and thus enabling easy install and upgrade of these drivers. We are also planning to start offering a COPR with the latest and greatest Mesa drivers going forward to ensure you can always have the latest drivers available if you want to test and try them out. Even in this digital work printing is still important and thus we got people dedicated to this task too. 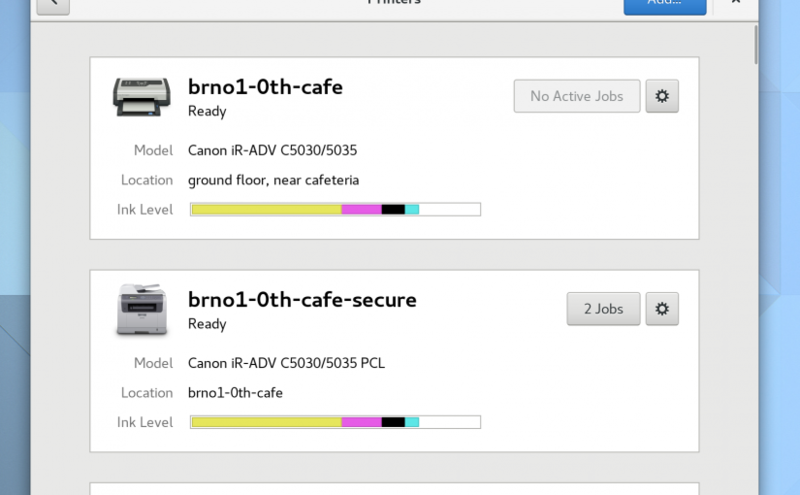 So Marek Kasik is working on ensuring we keep CUPS working well and Felipe Borges recently wrote a blog entry talking about the redesigned printer control panel. So this is another area we are spending serious resources on and continuously trying to improve. Bastien Nocera on our team is probably the person who has done the single most to make sure desktop bluetooth is working at all. We decided to boost that effort by having Christian Kellner work on this too, so he has been working on patches for various bluetooth related issues with Bastien providing guidance and code review. We are also working on coming up with some kind of bluetooth testing harness to allow us to catch regressions more easily and verify support on new hardware. Christian focus currently is improving the handling of Bluetooth Audio. If you are contemplating giving Fedora a try I think the items above illustrate one thing very strongly and that is how many of these issues we are the primary force behind, so by using Fedora you are not only getting access to them first and at the same time have some assurance that the integration work has been done right, but you are also supporting the effort of moving these technologies forward and also putting yourself in a position to more directly interact with the engineers working on these and a long slew of other important technologies in the desktop and beyond. And our efforts are not just limited to writing code, like for example our current effort to clear the legal hurdles blocking Linux systems from supporting various media codecs. So if you haven’t already I strongly suggest you go to the Get Fedora website and grab our convenient Fedora installer or an ISO image. And as I said initially if you have other pressing items I didn’t cover here, feel free to post a comment and I will be happy to try to answer any questions I get.